Philips van Almonde (born: December 29, 1644 in Den Briel – died: January 6, 1711 in Oegstgeest) was a Dutch Lieutenant Admiral, who served in his nation’s maritime conflicts of the 17th and early 18th centuries. Philips was the son of Pieter Jansz van Almonde, a wealthy burgher. 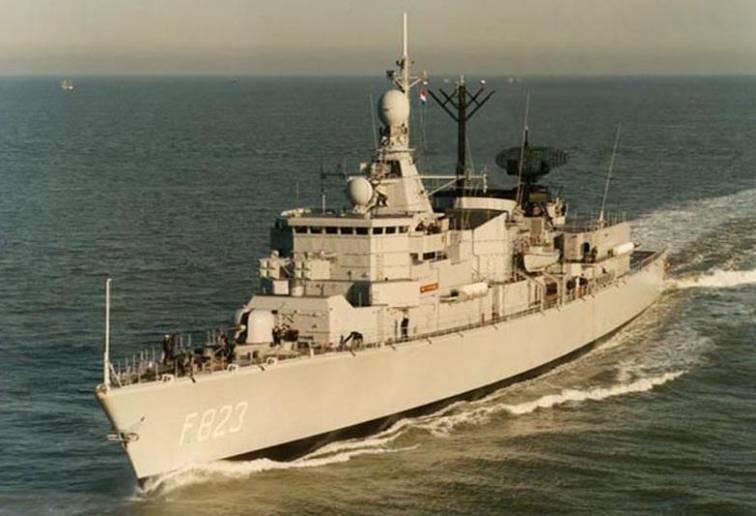 Van Almonde learned the maritime profession under his uncle, the frigate commander Jacob Cleidijck, becoming a cadet on his ship the Wapen van Dordrecht in 1661. He was appointed lieutenant in 1664 by the Admiralty of the Maze. During the Battle of Lowestoft in the Second Anglo-Dutch War he in 1665 took over command from his incapacitated uncle and was on return confirmed in his command on 14 August. 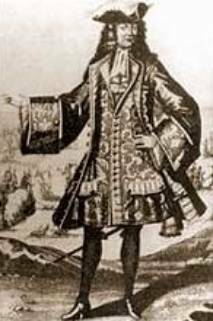 He distinguished himself in the Four Days Battle of June 11-14, 1666, where Lieutenant-Admiral Michiel de Ruyter defeated the British fleet under George Monck, 1st Duke of Albemarle. In 1667 he was made a full captain. In 1671 he was captain of the Harderwijk. On 6 October 1673, during the Third Anglo-Dutch War, he was made a Rear-Admiral, after having distinguished himself as captain of the Wassenaer in the Battle of Solebay and captain of the Delft during the Battle of Schooneveld and the Battle of Texel. In 1674 Van Almonde on the Ridderschap van Holland carried out actions against the French west coast. 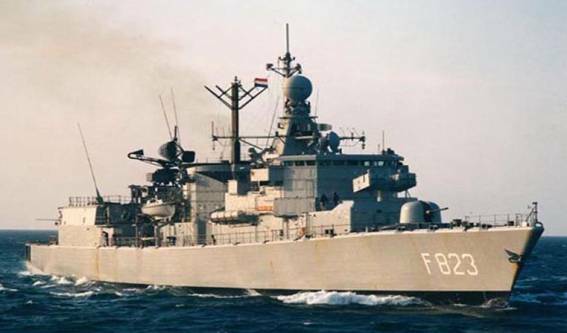 The following year, he accompanied Tromp's squadron in the Mediterranean. On June 4, 1676 in Danish service assisting Cornelis Tromp, he defeated the Swedish navy in the Baltic on the Delft. In 1676, following Ruyters’ death, Van Almonde led the mediterranean fleet back to Holland. 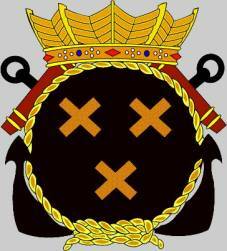 On 5 April 1684 he was appointed Vice-Admiral by the Admiralty of Amsterdam. During the Glorious Revolution he commanded the rear of stadtholder William III of Orange's invasion fleet. He achieved his greatest fame, however, during the War of the Grand Alliance ("The War of the League of Augsburg"), in which the Netherlands and their allies ("The Grand Alliance") faced off against Louis XIV's France. On 28 March 1692 he was made Lieutenant-Admiral. Van Almonde on De Prins commanded a squadron in the battle at La Hougue (also known as the Battle of Barfleur) on May 29, 1692. There he actually decided Admiral Edward Russell’s victory over the French, who were under the command of Tourville, by launching his long boats against the trapped French, a favourite Dutch tactic. In 1702, during the War of the Spanish Succession, Van Almonde was behind a plan to seize richly-laden Spanish treasure galleons arriving from the West Indies. On October 23, he convinced British Admiral Sir George Rooke to attack the treasure ships despite the lateness of the year and the fact that the vessels were protected by French ships-of-the-line. The Dutch and English forces in the Battle of Vigo destroyed the enemy fleet in the harbor of Vigo. The English seized four ships-of-the-line and six galleons, while the Dutch took six warships and five galleons that had been treasure-laden but were unfortunately unloaded just before the attack. In 1706 he put down command of the Dutch fleet headed for Portugal on hearing that he would be subordinated to a British Vice-Admiral. 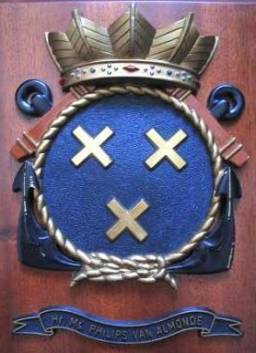 On 20 December 1708 he was transferred to his old Admiralty of the Maze at Rotterdam; as this was seen as the most ancient Dutch admiralty, the most honourable function in the Dutch fleet was now his. Van Almonde later moved back to his Haaswyk estate, near Leyden, where he died on January 6, 1711. His memorial stands in the Katherine Church at Briel, where he was buried on 30 December 1712.